The QS3-CAD 3 display CAD workstation is specifically designed for engineering, architectural, CAD, digital content creation, 3D and scientific modeling. 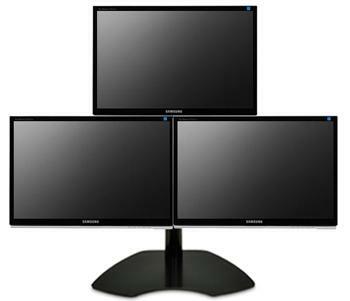 Allow us to provide just the box or a complete turnkey setup including monitors and mount. 3 outputs total on this card. 2 x DisplayPort + 1 x DVI. Resolution up to 1920 x 1200 on DVI. OpenGL 4.2, OpenCL 1.2, DirectX 11.1, HD3D Pro, Eyefinity, Crossfire.